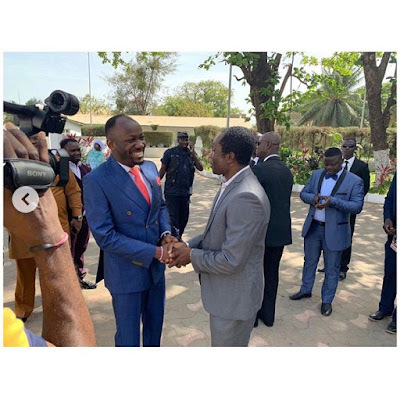 President Adama Barrow of The Republic of the Gambia on Thursday, hosted Servant of God and senior pastor at Omega Fire Ministries (OFM) worldwide, Apostle Johnson Suleman, who was in the tiny West African country on a two-day restorative crusade. 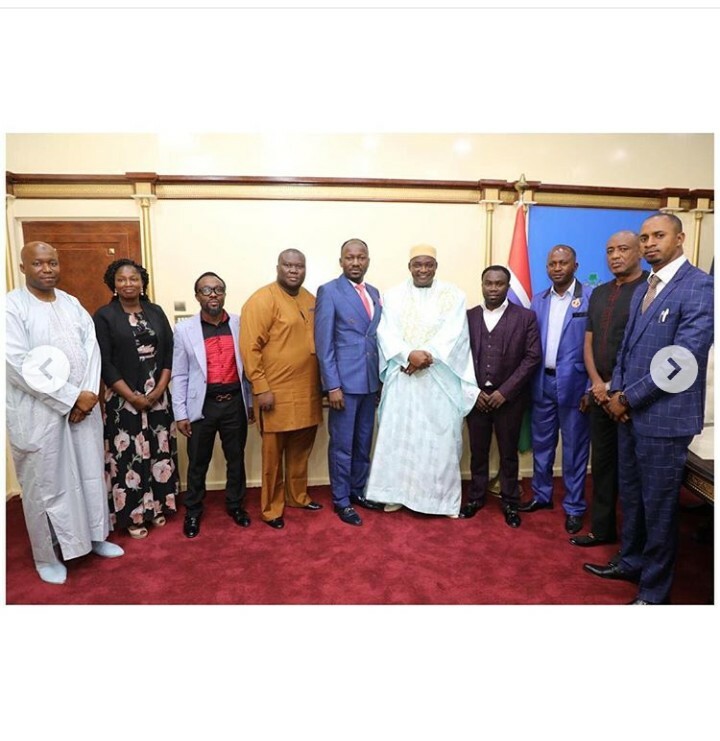 Suleman and his ministers who drove from Banjul International Airport through the city like royalty had taken the ministry’s regular soul-restoring programme tagged ‘The Supernatural’ to The Gambia following another successful two-day outing in neighbouring Dakar, the capital city of Senegal. While giving charity, ‘The Restoration Apostle’ as the famous cleric is fondly called, would say with pleasure, “we are feeling joy, delivering healing and happiness to the people through divine messages and giving.